Meet the various characters of the Sinagnayan epic: Sarandihon, a skillful fighter who can wrap his enemies with blazing fire; Laonsina, archdeity from the upper world who settles conflicts in the pagtung-an (middle world); Labaw Donggon (Abaw) who is tasked by his strong-willed wife with the difficult mission of defeating Sinagnayan; and the golden lion of Minayunmon which conceals the life of Sinagnayan in an egg kept inside its heart. Can the fierce lion be killed? Federico Caballero was born seventy-six years ago near the stream of the river Pan-ay at the border of Masaroy, Calinog and Tapaz, Capiz. A Gawad Manlilikha ng Bayan (GAMABA) Awardee for the year 2000, he comes from a long family line of epic chanters. Such exposures harnessed his skill and love for epic chanting (sugidanon) at an early age. In SY 2000–2001, together with Dr. Alicia P. Magos, he helped pioneer the first School of Living Traditions (SLT) in the Visayas located in Barangay Garangan on the border of Tapaz, Capiz and Calinog, Iloilo. In that informal weekend schooling, he was assisted by his talented wife Lucing and his siblings as co-monitors in teaching epic chanting together with the other arts. Dr. Magos, a sociocultural anthropologist by profession, started work on the epics almost twenty-five years ago. Her interest in the indigenous people started with her early exposure on their Negrito workers and later on the mountain dwellers of Central Panay—the Panay Bukidnon—in 1992. Her long mountain treks on the rugged mountains of Panay started in 1988, and since then, here life’s work has been focused on bringing to light the indigenous cultures of the mountain people of Panay—an undertaking that has since helped the people embrace their own culture and at the same time obtained for them the benefits that their indigenousness entitles them to. She is also a multi-awarded professor and now Professor Emeritus of University of the Philippines Visayas. Rara as she is fondly called scanned the interior mountain of Tapaz, Capiz and Calinog, Iloilo in the early 1990s as assistant to Dr. Alicia P. Magos. A graduate of UP Visayas and an indefatigable field researcher, she has endeared herself to the family of Anggoran (Preciosa Caballero), a binukot (kept maiden) chanter, whose children all know how to chant and who recorded the Sugidanon of Panay. 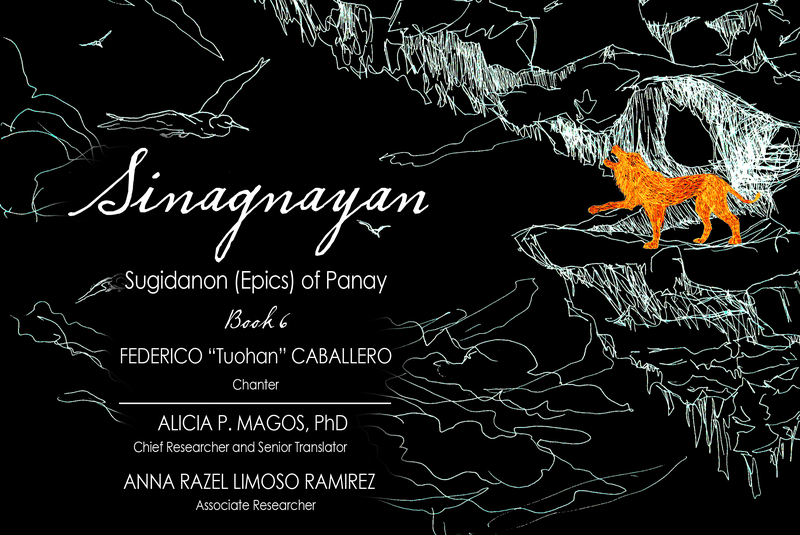 Limoso Ramirez is also the project coordinator for the publication of the ten epics of Panay. She is also the translator for the Kinaray-a and English version of the epics. Limoso Ramirez has served the university as member of the UP Board of Regents from 2013–2015.